Choice of JSlint (current), JSLint (old) and JSHint. Similar to JSLint.VS, but has more features and options. Output as Errors, Warnings, Messages or Tasks. Download the “vsix” file from https://jslint4vs2010.codeplex.com/. Double click the “vsix” file and follow the instructions. 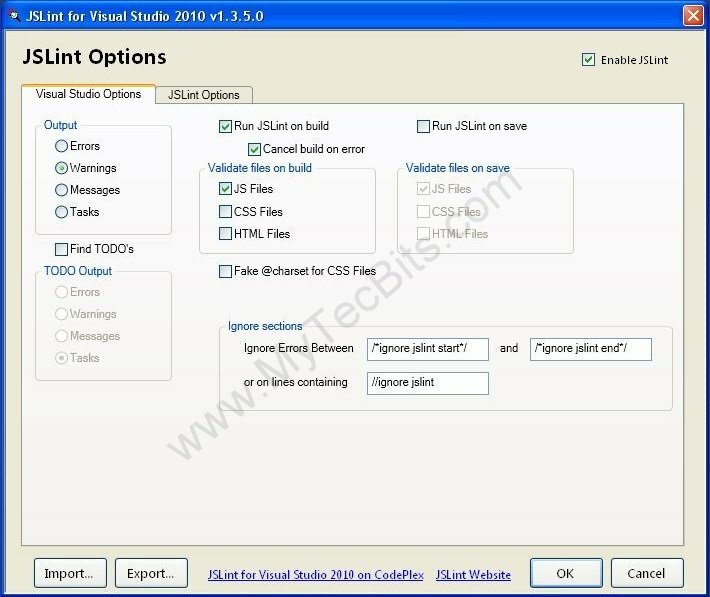 JSLint-for-VS2010 options screen can be launched from the Visual Studio tools menu. In the visual studio options tab, we can set the options like output as errors or warnings or tasks. Whether to run the tool during build or not. Whether to run the tool on save. Whether to validate css files and html files or not. 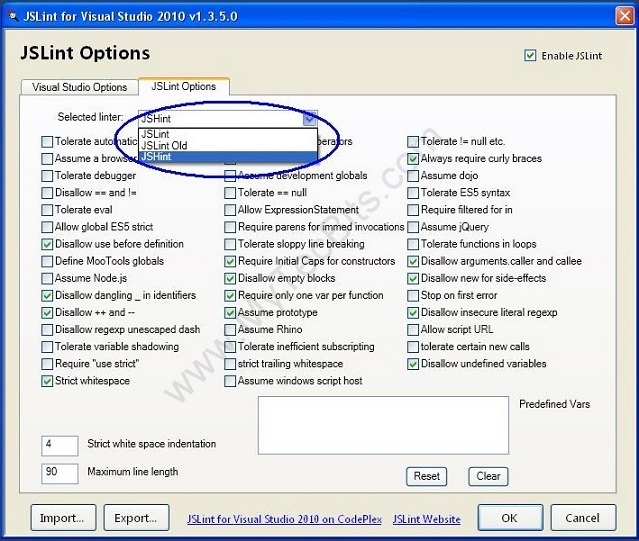 The JSLint-Options tab provides option to choose JS lint or JS Hint as validation tool. We can select a set of Java script code or file, right-click and select the JS Lint to run the tool for the selected lines of code. We can even apply strict white space indention and Maximum line length. But for panther we can ignore them. See this article for the other code review tools I’ve used for .Net web application development.